I’m back! Mom was here for a visit & has now gone home. I have a birthday party to go to tomorrow so I needed a card for Nancy. I made this one using two shades of reds. Funny how the 2nd shade of red changed color when put up against the dark red. 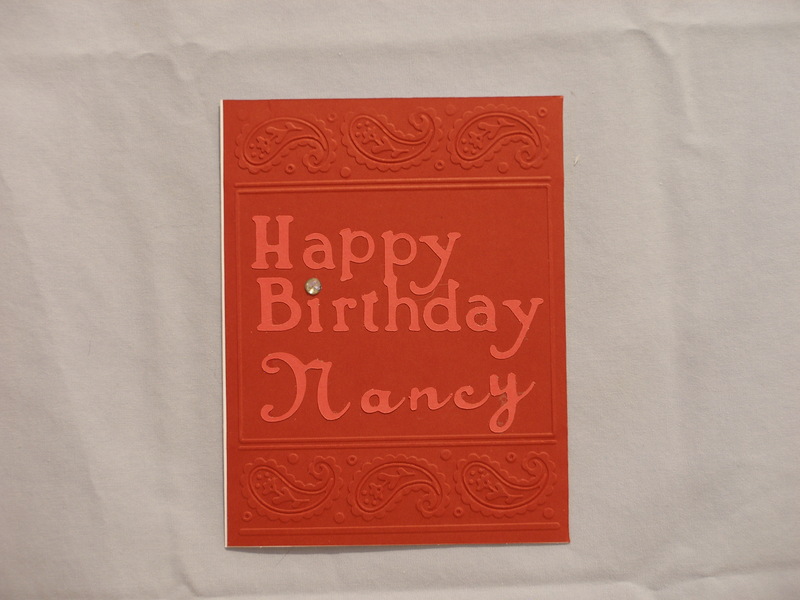 First I took the dark red card stock & dry embossed it with a Cuttlebug embossing cartridge. 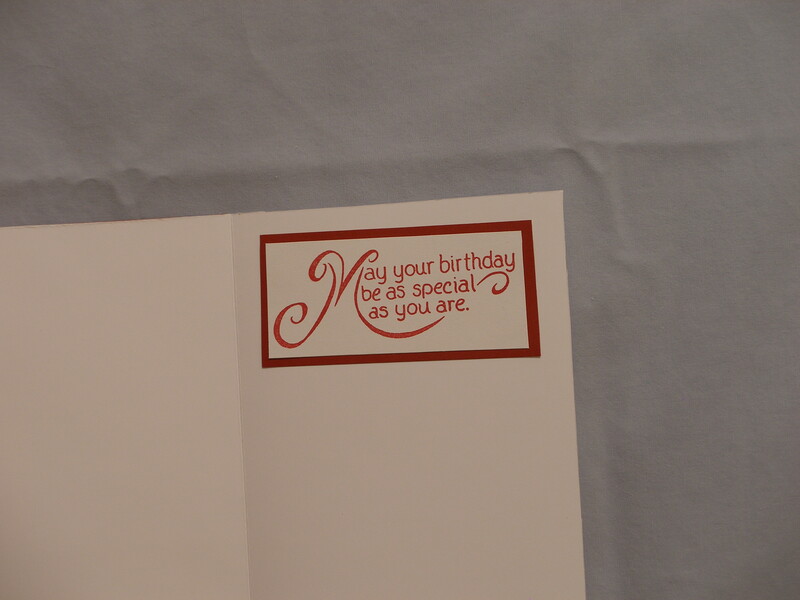 I cut out the Happy Birthday using the Cricut Paper Lace 2 cartridge. Using the Cricut Songbird cartridge I cut out & attached Nancy. I used a jewel that was found on sale for the I in birthday. Inside I used a Stampabilities stamp for the sentiment. Framed it in the darker red stock used on the front of the card. It’s now ready for Nancy’s party tomorrow 🙂 Now if I would only come up with an idea for a house warming card. This entry was posted in Cards, Paper Crafts and tagged card making, Cards, Cricut, Cuttlebug, Paper Crafts, Stampabilitties. Bookmark the permalink.